New Year comes once a year, right? Wrong! If you are an Indian, you can celebrate New Year’s Day several times a year, for, every region and state celebrates it on different days. Each one has a different name and is also celebrated in different ways. But the joy and hope of an unfolding new year is common to all. It is celebrated as Puthandu in Tamil Nadu, Vishu in Kerala, Bihu in Assam, Cheiraoaba in Manipur, Nabo Barsho in Bengal, Baisakhi in Punjab, Gudi Padwa in Maharashtra and Ugadi in Andhra Pradesh and Karnataka. I don’t know what the other states call their respective New Year’s days. If you know, do share them with me. Why just New Year, we have so many festivals which are region and religion specific, that one can be in a celebratory mode throughout the year! But unlike festivals, some of which call for strict adherence to religious rituals and customs, including fasting, New Year is more of a social function and calls for rejoicing and feasting. What is more, the celebrations are as varied as the regions and the people. If there is the lovely dance on Bihu, there is the robust Bhangra in Punjab and the colurful gudi in Maharashtra, and the flower rangolis in Kerala and of course the feasts in all the states! My vote goes to the Indian new year celebrations in comparison to the 31st December parties. Look at the rangoli my little one made! The Tamil Puthandu falls on 14th of April this year. In preparation for the big day, the house is cleaned and colourful rangolis are made at the entrance and inside the house, mango leaves are strung across the top of the threshold and flowers adorn the shrine. There is no strict adherence to any religious ritual except for a ceremonial bath, wearing of new clothes, doing puja, going to temples and offering a variety of dishes to the Gods – and then the grand finale – feasting on the yummy dishes! In some households there is the ritual of reading the panchangam or almanac of the forthcoming year. Otherwise it is a time for rejoicing and hope. If you thought that the feast is all sweet and savoury, you are mistaken. There is one ingredient which is mandatory – neem flowers, which are in full bloom at this time of the year! And we all know how bitter it can be. So what is bitterness doing on the happy occasion of New Year, you ask? Well, isn’t life bittersweet? It is to emphasise this truth that our forebears included it as part of the first feast of the year. And that brings us to the mango and neem pachadi. It symbolises life itself — with the good and the bad, the sorrows and the joys, sweetness and bitterness. Another unique thing about it is that it incorporates all the six tastes advocated by Ayurveda to be included in every meal to maintain a perfect balance of good health. In Tamil, we call the six tastes arusuvai: sweet, sour, salty, pungent, bitter and astringent. For this pachadi, we use jaggery (sweet), raw mangoes (sour), salt (salty), green chillies (pungent or spicy), neem flowers (bitter) and turmeric (astringent). While I use fresh neem flowers if available, dried flowers can also be used, after lightly sautéing them in a little ghee. My mother used to make neem flower pachadi separately. That had tamarind instead of mango for the sour taste with the rest of the ingredients being the same. You can try your own recipe to make this delicious dish. Or try it my way: Peel, chop and cook the raw mango in a little water with a little turmeric and salt till it is soft. If you are using raw neem flowers add about a tablespoonful of it to the mangoes when it is almost cooked. Add jaggery and cook till it is well combined. Make a tempering of mustard seeds and a couple of slit green chillies. (If you are using dry neem flowers, sauté it in a little ghee till it turns nearly black and then add it to the pachadi in the end. Don’t cook after adding neem flowers in this case). When you eat this pachadi, remember what it stands for : Life in its myriad shades and moods is bittersweet but taken as a whole, is delicious. Wish you all a very happy new year ahead! Iniya Tamizh puththaandu nalvaazhththukkal, Zephyr! Good explantion of our festival. Yes, we are lucky to be born Indians! We are cooking so many different varieties of food because of the religious festivals throughout the year! I did veppampoo mangaa pachchadi too! I wish you and your family happy new year. And may all the life’s diverse colours and tastes bring you greater wisdom and peace. The Gujarati New Year, for that matter, happens to have no name, just ‘Navu Varas’ aka New Year in Gujju. Or we may use ‘Besta Varshe’ aka ‘in the sitting year’ (pedantically, but actually meaning at the coming new year’s day) in spoken Gujarati. Simple reason why we don’t have a name for it. It happens to be preceded by another festival, you see. Given that the New Year actually arrives the day (or two) after Diwali, I doubt any gourmand will leave unsatisfied. It is in fact a ritual that everyone goes to their friends’ and families’ houses to wish them for the new year, and partakes in the sweet spread spread out for the same. I would like to observe that what is sweet for the palate is not good for one’s health and what is bitter is almost always very good for one’s health. How fortuitous to come across a recipe calling for neem flowers when every morning these days my balcony is covered with a carpet of those little blooms–we have these huge neem trees right next to our building. Will surely try my hand at making this pachadi. I loved what you said about life being bitter-sweet but delicious when taken as a whole. True enough! And that is a nice rangoli–your grandaughter sure has a wonderful sense of colour and symmetry. Happy new year to you and your family, Zephyr! Thank you Scribblehappy 🙂 You must not waste the treasure of the neem flowers. Collect them and wash and dry them well. You can keep it for years when well dried. you can make a variety of things with them and they are good for the stomach too. 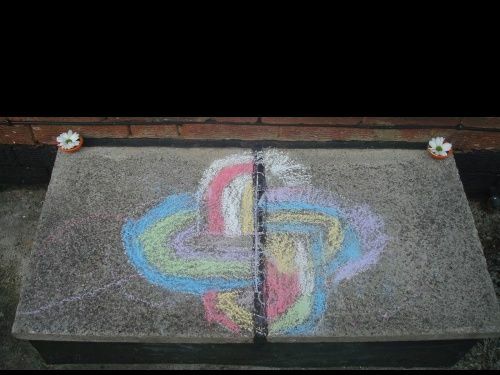 The rangoli was made by the daughter, but the colours are the little one’s. At barely 4 she sure has a sense of colour,. doesn’t she? The idea behind mango- vaeppam pachidi is amazing. I understand that is there in other parts of India as well. Recently I was reading a post on Ugadi- they also have similar pachidi! If we only paused to think about our customs and rituals, nothing would look old fashioned or meaningless. Alas! Wish you a happy new year too Hariharan! Thank you Giribala. She has such a great sense of colour, doens’t she? A happy new year to you and your family Zephyr. Strangely, I am not getting any updates on your post! Happy new year to you too Jenny. Most of us celebrate at least two new year’s day in addition to Jan 1. It is a lovely feeling to enjoy the various festivals. I don’t stress myself out by sticking to all rituals but do what I can, keeping the spirit of the festival foremost in mind. That makes it enjoyable. 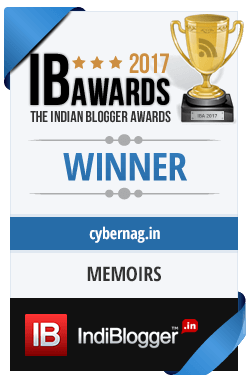 I have told the blog manager to look into the Reader issue and should get sorted out if it is from my end, in a couple of days. Started following your blog recently. Have a great year! Wishing you and your family a very happy Puthandu! Aren’t we Indians lucky to be able to celebrate New Year so many times? Thank you Manju. The dish will have a dash of bitterness, but that adds to the taste. Unfortunately fresh neem is not available throughour the year and so we have to make do with the dried ones which is not the same. Happy Puthandu to you and yours!!! Pudhu varusha vaazhthukkal. Vadai payasam sappitta piraghu, vaazhthughiren. Iniya Puthandu nalvazhthukkal. Have a wonderful year ahead. What does one have Pachadi with? The recipe sounds delicious. Ah, just the stuff I love about India. It’s all just one big celebration. Puthandu Vazhthukal to you. Your mango pachadi concept is similar to the Ugadi Pachadi we make, but we don’t cook anything or use any tempering. Everything goes in raw. Nag Family? 😀 😀 I am the ONLY Nag, sorry! What is Kanji vadas? would love the recipe. Please mail me, will you? I’m waiting to arrange the vishu kani.It has been always an interesting task. randu naal leave irukke..online paakalam.. I pity the poor boy! And if you are good cook, poor me, for missing the feast 😀 I have seen Vishu kani being arranged too. Do you walk with your eyes closed and open it to see that the first thing? I have heard this said. Looking forward to the pics. Do mail them. No time to browse in FB. Wish you & your family a very happy Tamil New Year.Enjoy the yummy yummy festival goodies. the rhythm of seasons and the joy of harvests was what defined the new beginning till the not so recent past : and these new years truly signify that. We lived more in tune with our natural environment and knew how to savour each seasons bounty : this pachadi would be having numerous health benefits too ; i am sure . We tend to lump everything as being old fashioned and junk them, in the process losing the beauty in things — even something as simple as a mango pachadi. And yes, it has health value too since it incorporates all the six tastes of Ayurveda. Our new year celebrated on Ugadi is called as Sansar Padwo. 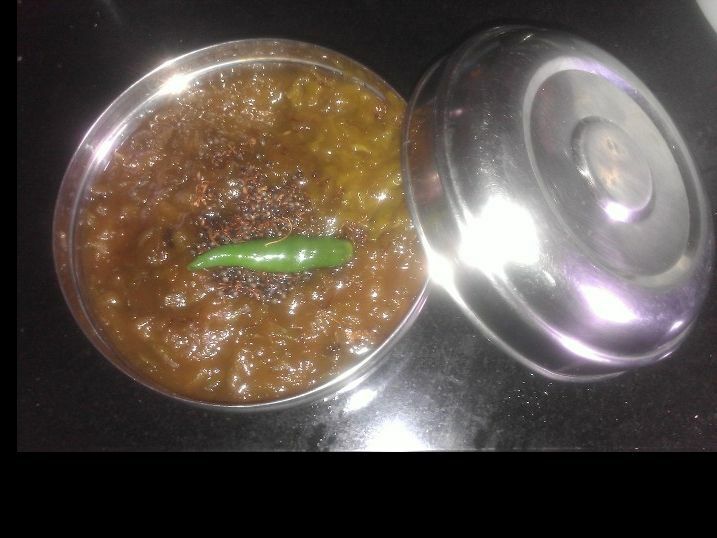 And yes we do eat the neem with Jaggery and this year had a lovely day as I was in India then. Somehow its fun when all the family is together and this time it was a bonus as I had both my in laws as well as my parents with me 😀 And the day just flew with all of us cleaning, cooking, singing and feasting together. I am a Maharashtrian and though we don’t make that Pachdi but it is a ritual to eat raw neem leaves good health throughout the year. But naturally! That is exactly what the pachadi is all about. I am so glad to be of help. Telepathy, is it? Well, tell me how they turned out. My mother made neem pachadi with all the tastes — tamarind, jaggery, neem, salt, turmeric and red chillies. Mango pachadi used to be sweet. Enough teasing, give me your address I am coming straight to your place for some yumm food. The Rangoli is beautiful . Wish you a very happy New Year….happiness always. Oh yes, it is bevu bella here in Karnataka and Ugadi Pachadi in AP. I tasted both these concoctions and though the logic seems fine, the taste is not to my liking :). I agree with Umashankar’s point above about celebrating New Year all through the year. Gujaratis and Marwaris consider the next day after Diwali as New Year. Depending upon the region, there are a number of New Years celebrated. I don’t celebrate any. Cynical me, what is the big deal in any New Year :). But, I’d go with 1st January as the only one I consider as New Year. Looks like you celebrated with gusto. hehe I do include bitter, sweet, sour, hot flavors and local, seasonal produce in my cooking. It is just that this concoction’s taste does not appeal to me. I love raw mangoes, but neem is not for me. I love my karelas and methi though :). And, I do enjoy seeing the festivity around me. My mil is Maharashtrian and born in Karnataka, and her sister stays here in Bangalore. So every year, we trudge to her house eating the yummy goodies and celebrating Gudi Padwa and Ugadi. As long as I don’t have to slog in cooking the obattus, I am all for the celebration :). Puthandu Vazhthukkal to you, Zephyr. The kosumalli, neer mor, panagam are triggered by Rama Navami at our place – and from then on, since it is the mango season, the trio makes its appearance very frequently. Much jaggery is eaten raw. Vidur loves to “taste” it. I miss my Mom very much during festivals. We generally have a festive feeling for the next three days because her birthday is on April 15. Sigh. What I hate most is doing it all alone. I love everything neem. 😀 I have a stash of dried neem leaves. I can’t believe the year has whizzed by so soon and April 13 is the day after tomorrow. Yikes. I’d better get shopping for the essentials tomorrow. Puthandu Vazhthukkal to you and your family too 🙂 Feasts followed the seasons,Vidya and since both Rama Navami and Puthandu fall during spring-summer, these two items find a place in the food, at least in our family 🙂 I love plucking the tender leaves and chewing on them when I go for the morning walk. Freshens the mouth like no mouth fresher can! We celebrate festivals which are in tune with Nature .. now we have lost the touch with Nature and only some outward things of the festivals remain. Very true, Aativas. But even today when we celebrate something if we remember the joy and the reasoning behind it, we will enjoy it. When we have learnt new ways of celebrating birthdays by cutting cake and blowing candles, why can’t we make rangolis and cook a feast to celebrate a festival? Hey, hey, hey, you forgot the Parsi “Navroze”. Still, the mango pachadi sounds delicious. And your daughter looks adorable lost in her rangoli.- very sensible using chalk. A Very Happy New Year to you and yours. Name one Indian festival that isn’t a gourmand’s delight! But having to wash one’s own dishes after the feast, plus having to watch the cholesterol and sugars makes it a bit less elaborate for this Parsi :). My apologies o gracious gran. We do agree on the “adorable” though. Wishing you a very happy Puthandu ! Reading about the varieties of new year celebrations we keep having , suddenly made me recall something from when I was around 8 -9 years old. It had to do with experiencing and enjoying a multireligious India. My brother and I attended a jesuit school, but also learned all kinds of Sanskrit Stotras at home, one of which was Ramaraksha, which was fairly big. Returning home after playing every evening, we had to wash our hands, feet, face, change into fresh clean night clothes, and say Ramaraksha followed by tables from 2 to 20. Dinner happened only after that. We used to say the Lords Prayer in the school assembly and the shorter length of that prayer was attractive to us. I remember asking my mother if all Gods were one, why couldnt we say the Lords Prayer instead. And I remember that she then told us what a great idea knowing prayers of different religions was, and why didnt we say Ramaraksha as well as the Lords Prayer every day ! life is bittersweet but as a whole it’s delicious. loved it. thanks to ur post, i remember that Bengali new year is also around the corner. Rituals are all not to be frowned at or junked, but that seems to be the norm today in the name of being secular maybe? But religion, culture, tradition, customs — all have their specific places in the lives of people. I have a maximum-minimum rule for any festival and anything in between goes, depending upon my ability, time available and mood. And what do you do on Naba Barsho? For us Kannadigas, Ugadi symbolizes heralding the spirit of a balanced life filled with bitterness and sweetness, hence the ‘bevu bella'(neem ‘n jaggery) offering to one and all ! Quite similar to the ‘pachadi’ you describe ! Such a refreshing post ! Look how intellectually stimulating a post on Cybernag can be 😀 And I am happy to be of service in diffusing the tension between the generations over this vital question 🙂 Thank you for the wishes and wishing you and all at home the same too! What a different post!!! And yet, strangely so meaningful and appropriate. Bittersweet mango pachadi…bittersweet nature of our life!!! Aah..how hard it is, how tough it is to accept all shades and flavors…I, for one, mostly can’t (:-. And you know what I like most about this post–that you used a recipe, a symbol and metaphor from a woman’s domain to convey an important message. Happy New Year to you, Zephyr and to L&M and the Brats!